When I’m having a stressful day, whether at work or just in general, there’s nothing I’d love more than to check myself into a spa, far away from everyone. Spas really are the way to a healthy life, in my opinion. There’s something about the smells, the sounds, the quiet space, and the overall atmosphere. It’s got a relaxing feel to it, which calms your nerves. Even just sipping on some herbal teas and sitting in the quiet instantly makes me feel better. So, I’ve kind of brought the spa to me. What you really want is a spa-feel. And this diffuser is EXACTLY THAT. 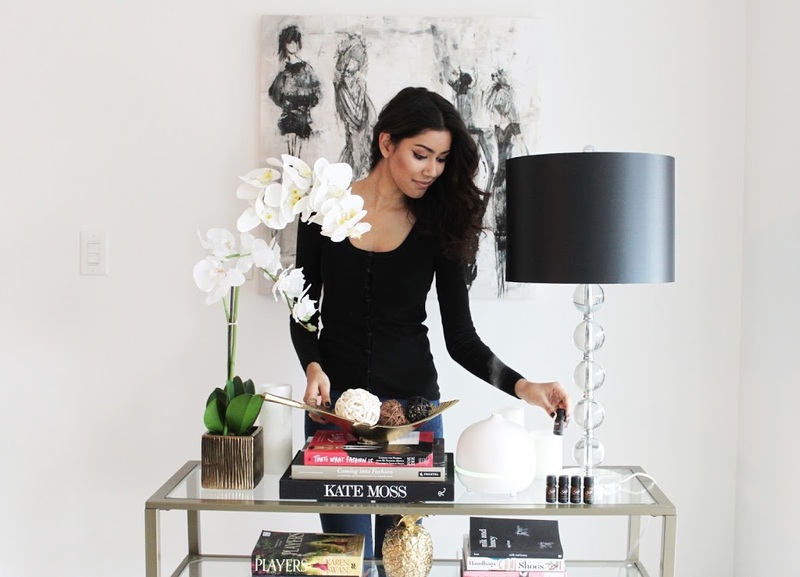 So, what is a diffuser? 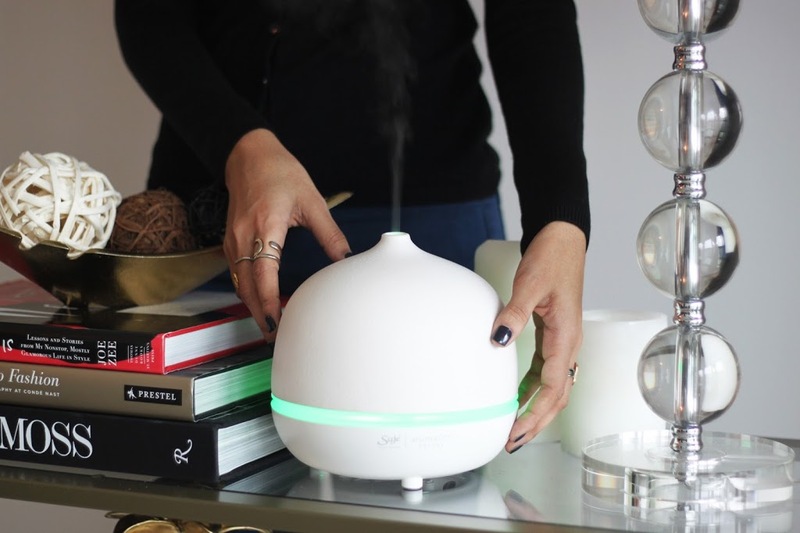 Glad you asked – It’s a small, pretty little device that disperses essential oils into the air so that the aroma fills a room or an area with a natural fragrance. 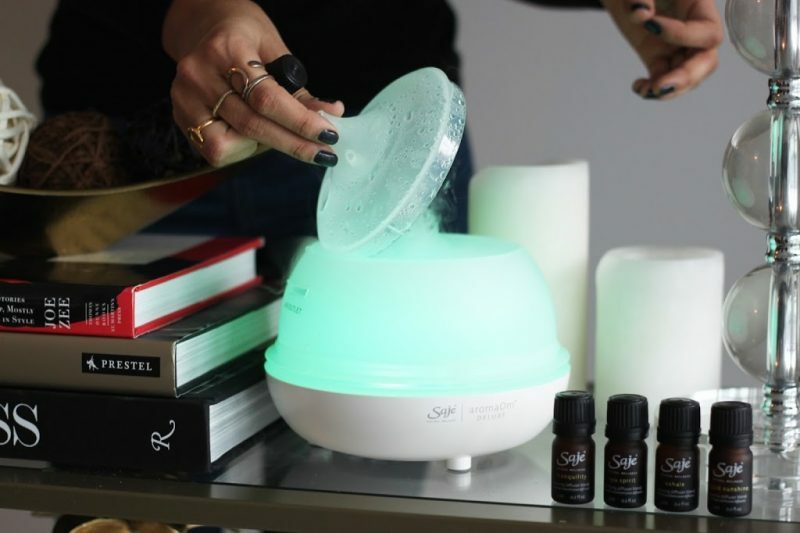 The ultrasonic technology, combined with water and diffuser blend, produces negative ions and aromas that elevate your well being by dispersing the essential oil molecules into the air. Basically, giving you a relaxing, spa-like feel. · Known to be effective against bacteria, molds, and viruses thus improving mold allergies. · Provides respiratory, sinus, nose, and throat support. Try diffusing eucalyptus throughout the night while you sleep to help with a cold. · Mood lifting, calming, relaxing and mind focusing effects. · Boosts your immune system, particularly with thieves oil and lemon essential oil. · Naturally cleans and purifies the air. · Assists in balancing hormonal issues. So, when I’m feel stressed out, or just need a break from everything/everyone, I turn on my diffuser and just relax. I try and do this every night actually. It gets addicting. Tranquility: With the key ingredient being Roman Chamomile, this oil gives the scent of delicate florals, helping with insomnia and stress relief. I love having this one on right before bed. It helps me fall asleep in minutes. Exhale: This oil’s main ingredients are eucalyptus and peppermint. It’s a stronger scent that helps calm your nerves. It’s got a woodsy, herbal smell and is great for calming the mind. After a long day of work, this one is perfect! Liquid Sunshine: This one is by far my favourite one. I use this the most, because the scent of grapefruit just uplifts my soul! It almost has a positive vibe to it. Weird? The zesty fresh scent boots your mood and literally brightens your day. TRUST ME. Refresh: Another favourite. This one’s got eucalyptus, spearmint, and lemon in it, giving you an instant pick me up. This one is great for energy and helps boost your mood as well. Rain Forest: This is for anyone who loves the smell of forest walks in the summer. I may not be the most outdoorsy person, but I LOVE a good hike in the forest in the summer time. It’s one of my favourite things to do, actually. This scent’s main ingredient is Balsam Fir, and I LOVE it! Really makes you feel like you’re in a forest. Spa Spirit: If you’re looking for calm, peaceful, and serene, this is the scent for you. It takes you to the most beautiful spa-like atmosphere (in your mind, of course). I just close my eyes, and picture the most beautiful spa in my mind. An instant calming scent. I’m also working on a full post on how I wind down. I feel like we all need time in our lives to just relax, turn off, and live a little. The only way to get some clarity in life, is to take time for ourselves. A few minutes everyday will bring MUCH happiness into your life. Here’s a post I did on my night-time wind down/skincare routine. Stay tuned for a new post on that! Okay, how many of you use a diffuser? Is it not the best thing of life?! 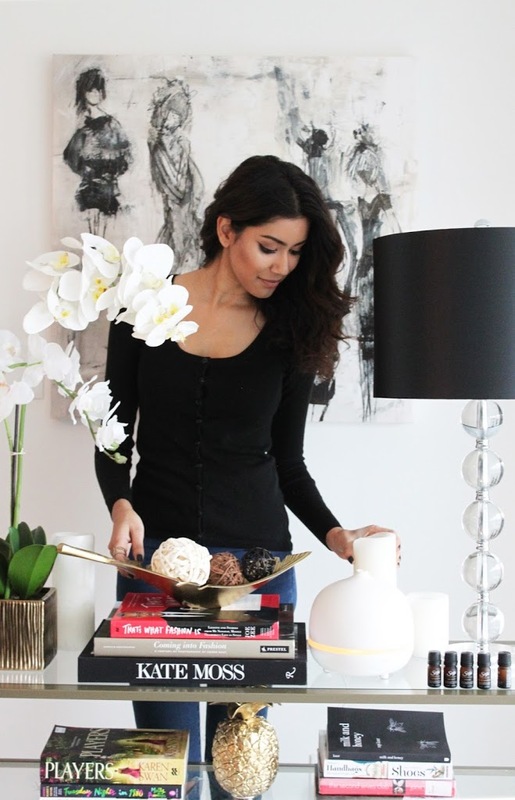 Saje makes the most beautiful looking diffusers that make your home look so…put together? Their unique and modern designs are perfect for any home. Really. This post was in collaboration with Saje. As always, all opinions are my own. Previous Post Ditch The Pink For Valentine’s Day. Next Post Casual Vibez In This Cognac Jacket. Inconceivable points. Sound arguments. Keep going the truly amazing work honeywell germ free cool mist humidifier hcm 350.